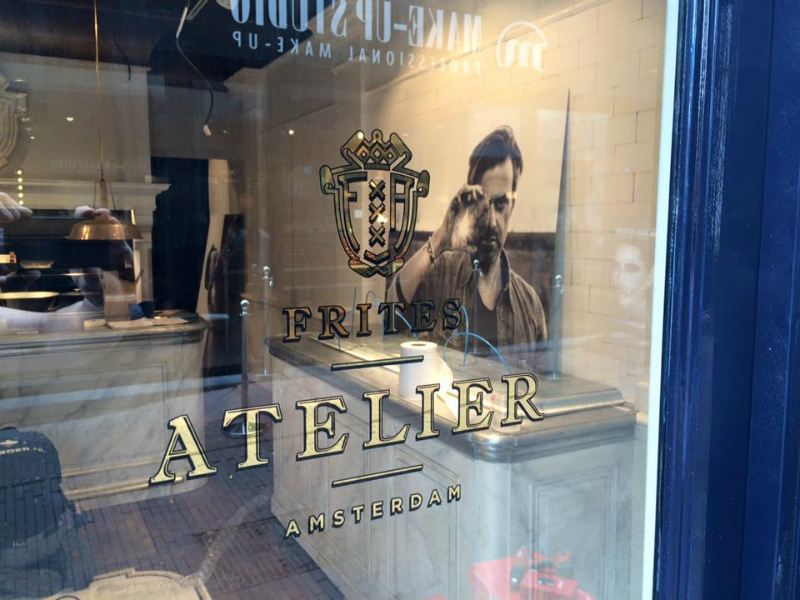 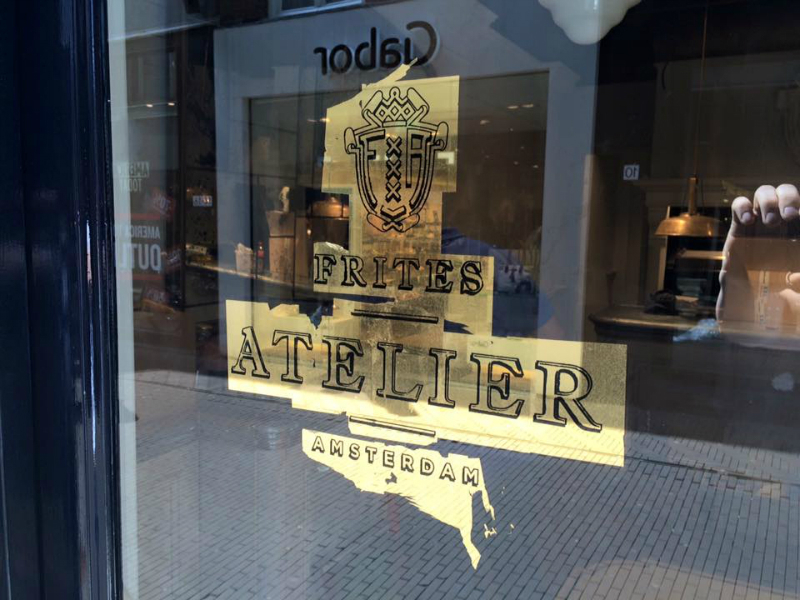 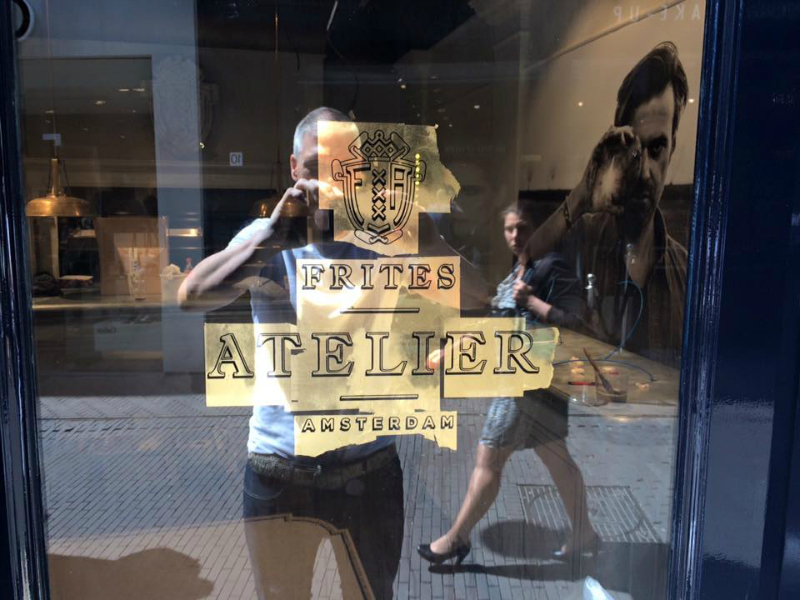 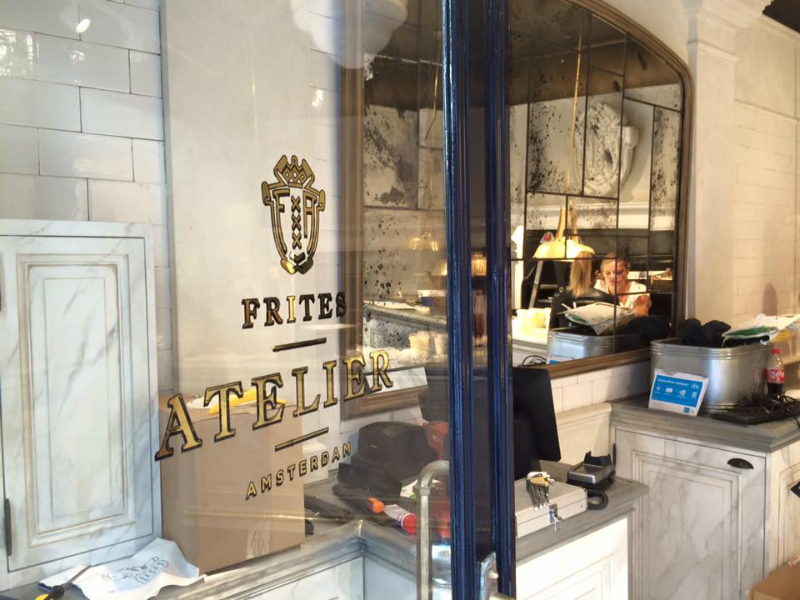 I was asked to do the glass gilding for Sergio Herman Frites Atelier Amsterdam in the Haque with their logo in real gold leaf. 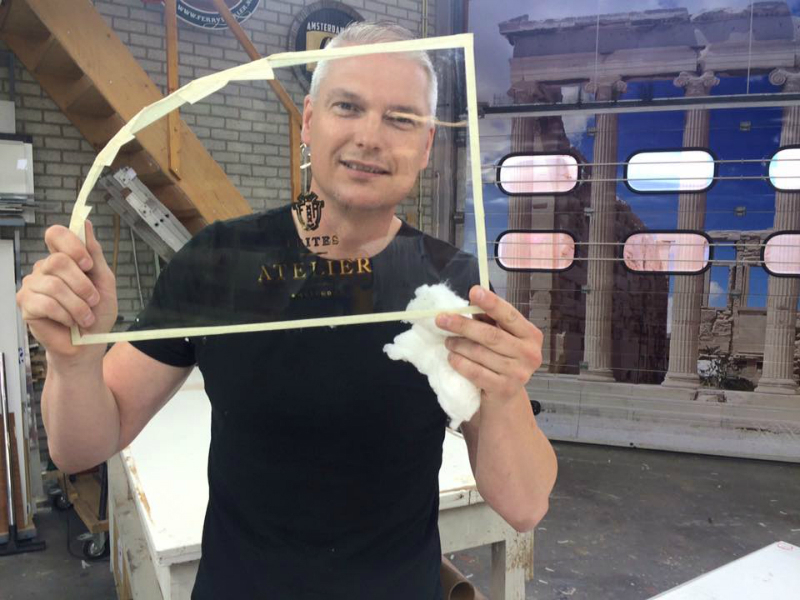 Glass gilding on location. 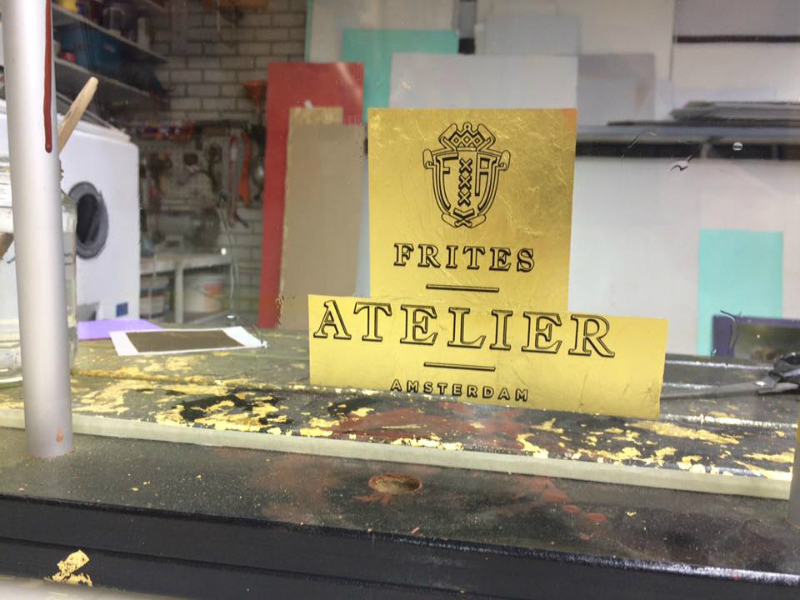 The problem was that the glass gilding had to be partially done on location during rebuilding (a lot of dust). 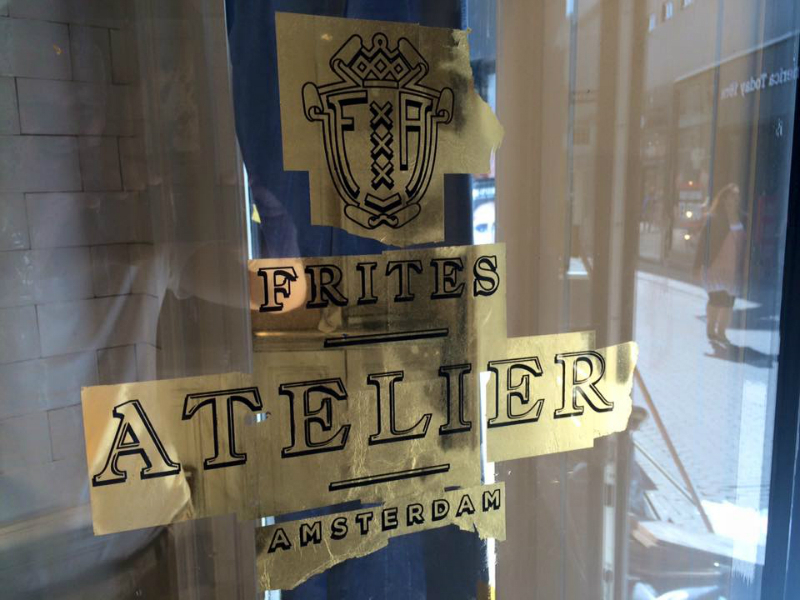 After a full day of work i hade done four windows on in the Frites Atelier in the Haque and it looked great. 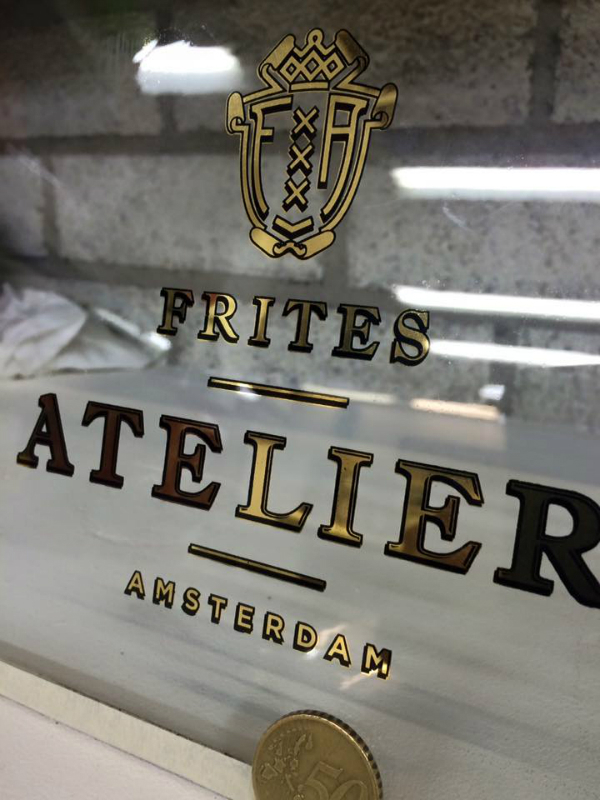 The gilded lettering for the new concept of Sergio Herman his Frites Atelier Amsterdam are only 10mm high! 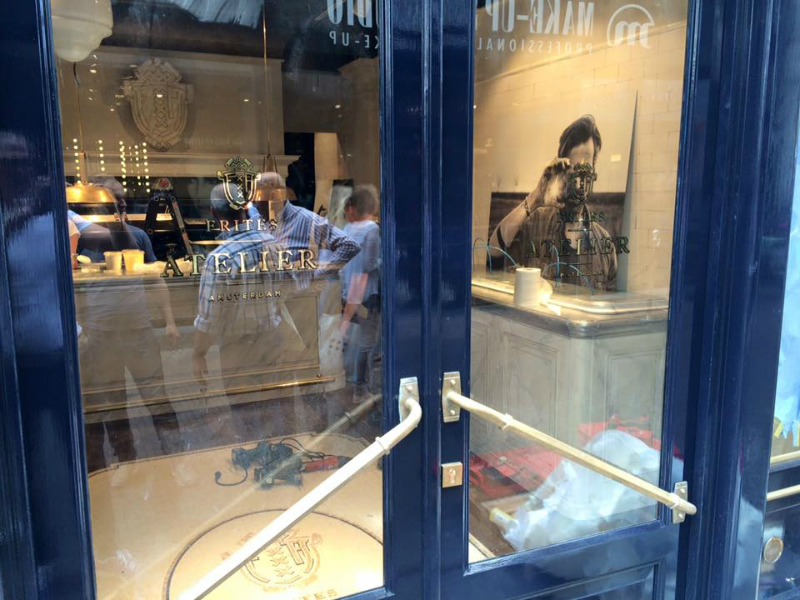 I have to say: it was a bespoke job.